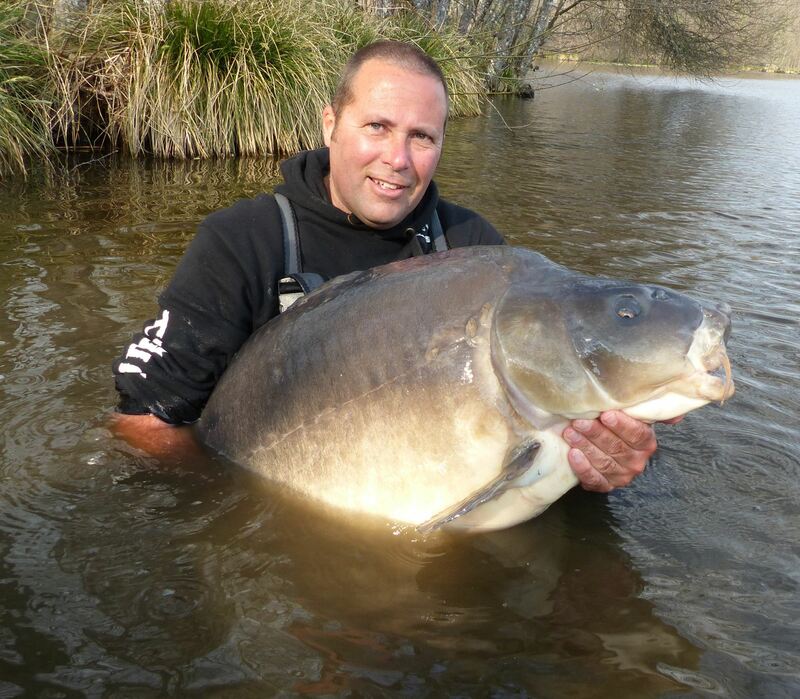 With the new season now underway I am getting a lot of calls about baits for fishing in France. Here are a few pointers to help you choose. The two baits that I would choose from my range for fishing in France are Red Baron or Fenspice. These baits are proven instant fish catchers and have been catching carp on the continent for at least 25 years. They are both fishmeal boilies, fishmeal based baits work very well during the warm months and work better if heavy baiting is carried out. That is certainly not a sales pitch it is a proven fact. The fishmeal content of both baits is 45% which makes them true HNV fishmeal boilies. They differ by Fenspice containing a few more products which makes it more nutritional. Red Baron is what I would call an old school fishmeal boilie while Fenspice is brought up to date with products that were not available back in the 90’s. 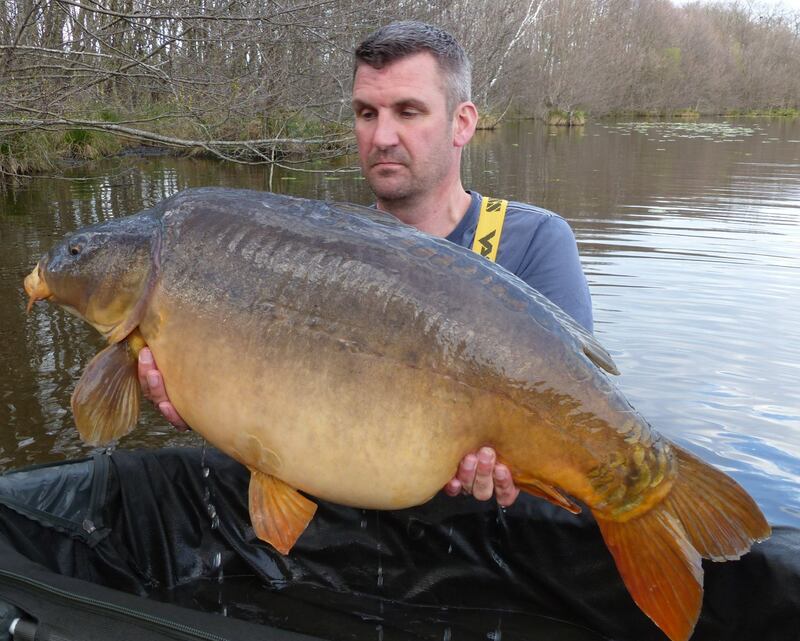 Both baits work very well in France so choose either with confidence. As you know for personal reasons and I don’t know how to make preserved ‘shelf life’ baits both Fenspice and Red Baron are freezer baits. If you have access to a freezer at your venue then I normally supply the bait the day before you depart. If you do not have freezer access then I recommend adding salt or simply air dry the baits. The way I recommend salt drying as I call it is to take a good sized bucket and add a centimetre of sea salt to the bottom of the bucket. Add 2 or 3 kilos of boilies to the salt then shake the bucket. Then add another 2 kilos with more salt over the top and shake again. The baits will take a salt coating on them which will be slowly absorbed into the baits. This will preserve them as well as adding attraction. Or you can just put the boilies in a bucket and keep turning them. I personally just pour baits from one bucket to another 3 or 4 times a day. This may seen like a lot of messing around but in reality its easy. The hardest part is going to Morrisons to buy the sea salt!!! I never use air dry sacks as the middle baits can go off. As I say I never use or produce shelf life baits for personal reasons. So if you are looking to use my baits in France then certainly look at Fenspice or Red Baron. I use Fenspice peach and pepper all the time. My personal favourite!! With the new fishing year looming I thought I would give you a detailed insight into the baits that I offer. Seeing how I have been making carp catching bait since 1977 you can safely say that they are different to the norm and can be classed as proper HNV ‘oldschool’ type baits. The products that I supply are designed to help supplement the carps diet therefore making them healthy, fit and big!! My flagship bait. The ingredient profile is, Rennet Casein, Lactalbumin, Salmon Meal, South American Fishmeal, Low Temperature Fishmeal, Pre Digested Fishmeal, Pepperspice (Exclusive Product), Krill Meal, Calf Gold Milk Powder, Maize Protein, Kelp Granules, Birdfood and Insect Meal Blend (Exclusive Product), Full Fat Green Lipped Mussel Powder, Beef Liver Powder, Brococell, Essential OIls, Spice Blend Liquid (Exclusive Product), Hydrolysed Krill Liquid and Red Salmon Oil. Fenspice testing commenced in 2006 and the bait was released in 2011. 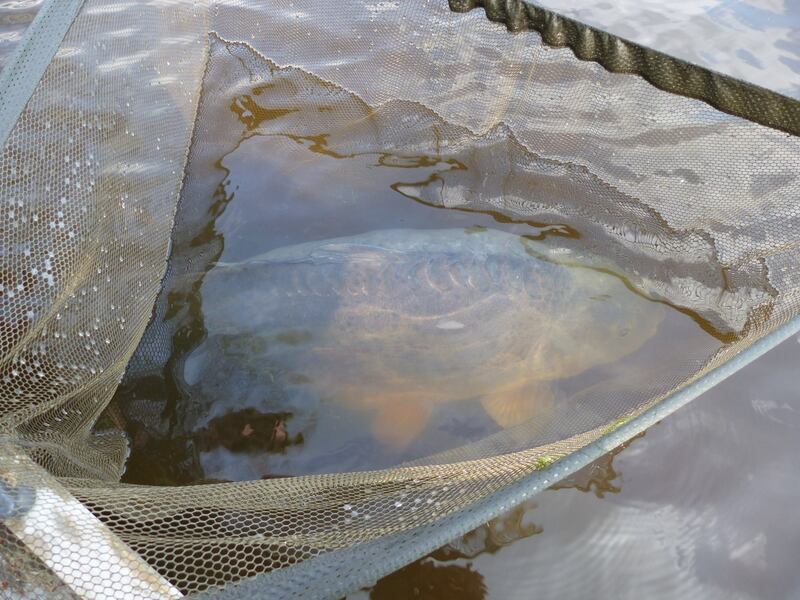 The bait was tested on all types of waters from silty Shropshire meres to windswept gravel pits to deep clay pits. Since release it has proven itself as an instant bait that catches from the off and just gets better as time passes. I would describe Fenspice as an old school spicey fishmeal bait that I brought up to date with todays ingredients. I include milk proteins at low level because I consider them to be extremely important in a long term carp catching bait. They give out food signals from the bait and are important products for the carps health. The fishmeal content of Fenspice is 45%. This is made up of a blend of three different fishmeals along with the super soluble CPSP 90 pre digested fishmeal. The pre digested element gives off a lot of food signals as the bait softens and carp simply love it. The ‘red’ part of Fenspice is my exclusive Pepperspice blend. This is made up of six spices that are mixed together, each is included at the optimum level. Certain spices can become addictive that is the reason for Pepperspice. It really is an awesome product that has been developed specifically for carp. Living as I do in Tamworth I have access to the best Asian supermarkets in the country, which are located nearby in Birmingham. This gives me access to the spices that make up Pepperspice. It is made from ultra fresh human grade products. The birdfood blend and kelp are added to supply vitamins and minerals and to aid binding. Kelp is also a very attractive product to carp. The maize meal is to add protein and taste. The krill meal that I use is absolutely top quality. I can get away with a higher inclusion of krill meal due to the kelp and maize protein being heavy. The liquid content is simply a combination of oils, bulk oils and liquid foods. Carp cannot get enough of this, it is a proven liquid package that simply screams carp!!! Lastly to my two favourite ingredients. Full fat green lipped mussel extract and beef liver powder. Used at the correct levels in 40 years of making carp baits I am yet to find anything else that is capable of catching hard to catch carp. I have done a lot of work over the last 25 years to source the correct GLM and liver and have done extensive testing to get the correct inclusion level. Previous thinking was that both products only required low level inclusion to get the best from them. Following my extensive use of these two products I have found the higher the levels used the better the results are. The only barrier to their use is the cost!! I have settled on a level of 10% for both products to keep the price realistic. Another word on GLM and Liver. There is a huge difference in the quality of some of these products. I have tried literally dozens of different ones and have settled on the two that I use now. They are full oil GLM and beef Liver powder. The liver in particular is very water soluble and the GLM adds all manner of attractants to the bait. Both are not the latest greatest but they are the greatest long term carp attractors out there. So if you are looking for a top quality spicey red fishmeal bait you wont beat FENSPICE. Red Baron is a proper oldschool fishmeal bait. Designed way back in 1992 you could say it has truly stood the test of time which is a barometer for a good HNV bait as it still catches as well today as it did back then. Red Baron is slightly different in its makeup to Fenspice. Again it contains around 45% fishmeal along with milk proteins, my eggfood blend, blood cells and lactose to sweeten it slightly. The blood cells darken the bait and make it harder, carp certainly like blood cells as long as the inclusion level is correct. Too much overpowers the bait so again years of development produces the correct level. I include different liver powders as well. It is a blend of Squid liver and a super soluble meaty liver powder. These two products leak off awesome attraction, liver powders are considered old hat by a lot these days but I rate them as top top carp attractors. They also assist the carps health as well. To finish things off I add red salmon oil and a mind blowing low level flavour combination of squid and plum. I have heard various claims of squid and plum flavours over the years but these two are streets ahead. The taste they add to the bait is simply fantastic. One whiff of the neat flavours will have you hooked!! If you fish in France then you should look at taking Red Baron. It is an instant catcher and works very well over there with carp caught to over 80lbs. The heavier you bait with it the better it works as well. Ultra Nut Mix is a very different nutty bait. I developed it as a similar bait to Fenspice, obviously the difference is Fenspice contains fishmeals and Ultra Nut Mix contains nut meals. We all know that carp like certain nut products, the problem being nuts are not very nutritional therefore they can affect carps health if too many are used. This was well documented back in the 80s and 90s when peanuts were blamed for poor health in carp and tiger nuts blamed for being the only bait to catch on as well as producing poor healh in carp with their heavy use. I certainly witnessed this back then. With this in mind in 2004 I started to design an HNV nut bait. Ultra Nut Mix only contains 20% nut meals which are roasted peanut meal and ground whole tiger nuts both being human food grade. The reason for the 20% inclusion level is down to the nutritional profile and high oil content of both meals. Nut meals have a far higher oil content than fishmeals. They are also far more expensive than fishmeals so don’t believe all that you are told. To create an HNV nut type bait I have included milk proteins namely Rennet Casein and Calcium Caseinate at higher levels than they are in Red Baron and Fenspice. To further boost the nutritional profile pre digested fishmeal, GLM, kelp, liquid yeast and silkworm powder are added to the mix. Silkworm powder is a very interesting product. It is highly nutritional and is a firm favourite with the koi carp lovers out there. Being so nutritional it is certainly of interest to me so I have included it at 10%. The liquid content of the bait is tiger nut liquid, liquid yeast and my MCM liquid which is a sweet malty maple flavour. If you are a user of nut type baits then have a look at Ultra Nut Mix. It has been designed to be nutritional to carp and work as a long term fish catcher as well. As my customers say it is very different to your usual run of the mill nut mixes. Give it a try you wont be disappointed. DP1 is the newest addition to my bait range. It was released in 2013, 5 years ago so as you can see I don’t release new baits very often!! Like Ultra Nut Mix DP1 is a nut bait again the inclusion level is 20% due to the high oil content. DP1 was originally designed as a bait to use in cold water conditions alough it will obviously work just as well in warm water. 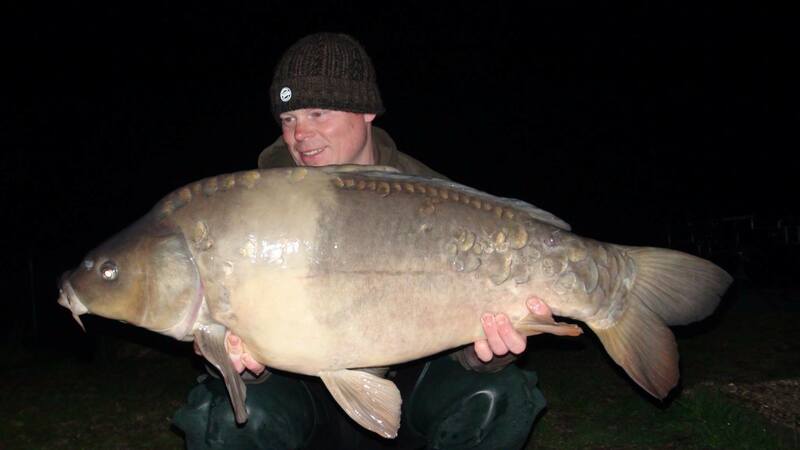 Some anglers like to change baits for the winter this was the reason for promoting it as a winter bait. Again the levels of Rennet Casein and Calcium Caseinate are higher than in my fishmeal mixes to boost the nutritional profile. Insect meal is included as well. This is another interesting product that carp certainly like. 100% water soluble liver extract is added as well. This product is a brilliant attractor in cold weather and is much overlooked these days. It is an old ingredient that has stood the test of time. An unusual ingredient that I have added again to boost the nutrition of the bait is creatine ethel ester. This product boosts the supply of energy to muscles, is very water soluble and is a great winter attractor. DP1 also contains my yeast powder complex which is a mix of four different yeast powders each at the optimum levels. Finally I added top grade CSL liquid and a very thick version of molasses. I do add another product to the CSL liquid which makes it a very special product. This will remain secret!! You can buy DP1 in either pineapple and n butryc acid or my toffee fudge flavour. I have mentioned before that DP1 seems to be a great bait to catch commons. This information comes from customer feedback. I can only come to the conclusion that this is down to the yeast products,csl and the molasses. These are known attractors for commons that date back to the 1980’s. So all I can say is if you are hunting commons then give DP1 a try. If you need any more information on my baits give me a call or contact me via email or Facebook messenger. As you can see I list all of the ingredients that my baits are made from. There is no guesswork when you buy bait from me and no bull**** either. Good luck this year and tight lines. Just a quick update for the coming year. A site upgrade is ready, I will be uploading it over the next few days. A few new products that will be available are airball type pop ups in 15 and 12mm for Fenspice in both original and Peach and Pepper. These will be available in yellow and orange as well. Orange is a bit different!! 15mm airball type pop ups will be available for DP1 and Ultra Nut Mix as well. After 3 years testing Fenspice pellets will be available this year. They are 6mm ideal for spodding it pva bag use. Results here and in France have been superb. Tremblaye is located near the town of Le Pin. The bait I have supplied is a combination of my base mixes with two essential oils as the attractor along with a new liquid food. The bait is available on site in 16 and 18mm plus hard hookbaits, pop ups and glugs. 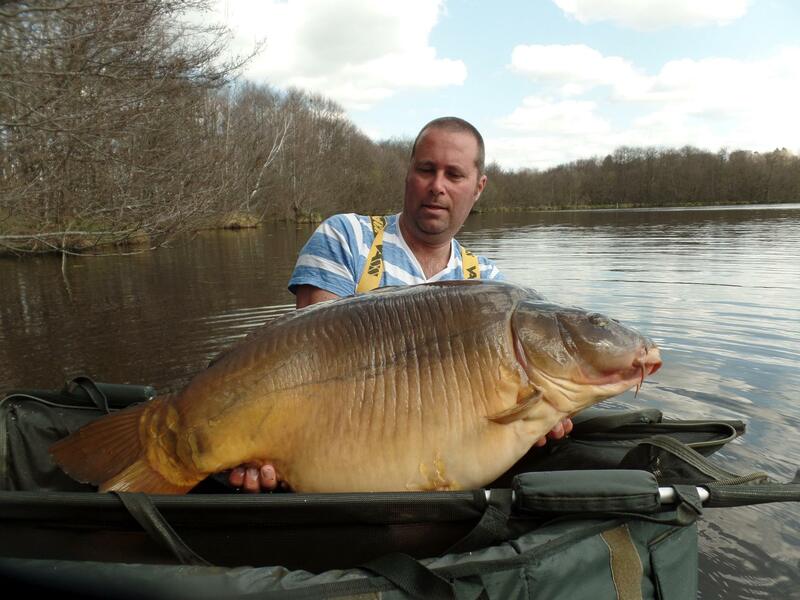 Angel lakes is situated just south of Limoges and is a well established French carp fishery. If you want peace and quiet and a great bailiff (Dennis) to look after you then this is the spot as its well off the beaten track. Normally owner Paul Ward supplys Original Fenspice or Red Baron but this year he has chosen Fenspice with a shellfish attractor that I have been developing. The bait will produce well over there. If you are visiting either lake then give the baits a try. You wont be disappointed!! More updates shortly and good luck for the coming year. Apologies for not updating the blog!! 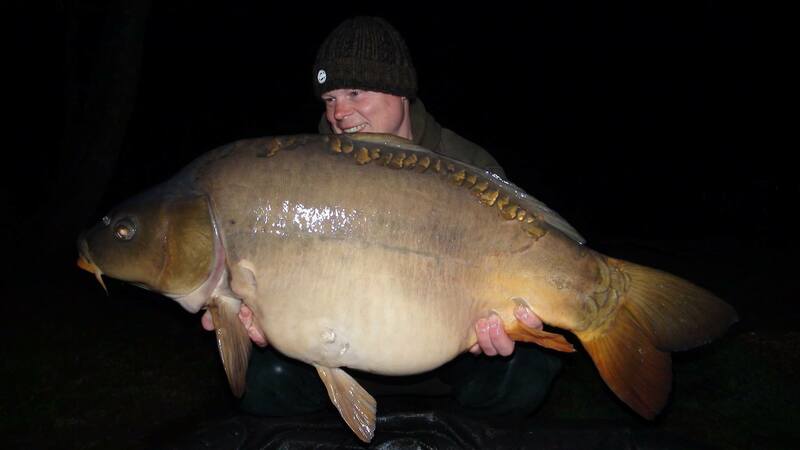 A great year again for anglers who use my baits both in the UK and on the continent. Fenspice is as consistant as ever producing lots of big and hard to catch carp. As I sais earlier I am now supplying the awesome Lac Serreire fishery down hear Limoges in France with their own version of Fenspice. The catch rates since the bait started to be introduces in March have been excellent on both Lac Serreire and Badgers Holt. Badgers is certainly a very tricky water, get your approach wrong and you will struggle to catch. The carp in Badgers certainly love Lac Serreire Fenspice so if you have a trip booked then I would certainly be using it on there. Remember if you require small baits, barrels etc for your trip then contact Simon Mansbridge and he will sort it out for you. 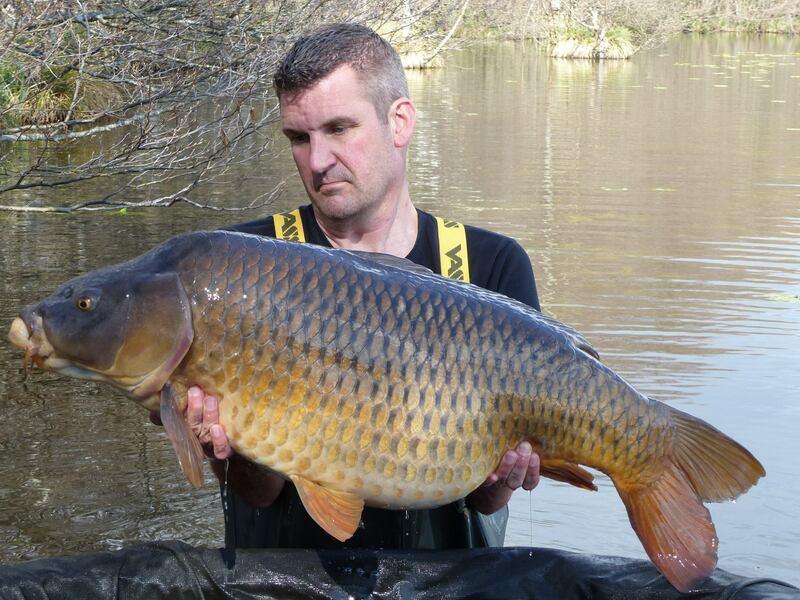 I will do a full report on the seasons captures at the Lac Serreire fishery at the end of the year. For weekly reports check out the Facebook page or the Facebook feeds on the Lac Serreire website and my website. 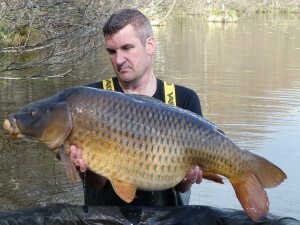 I am once again supplying Angel Lakes which are again located down near Limoges. Owner Paul Ward has taken his first delivery down to the lakes last week so it is available to anglers who fish the lakes. Paul has chosen to supply Fenspice, a good choice!! Once again I will do a report at the end of the year. 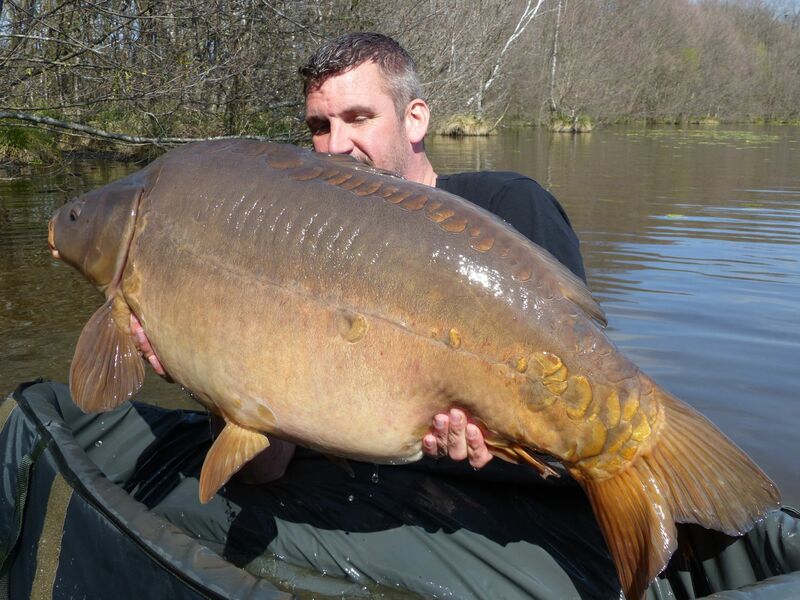 I thought I would mention hookbaits, especially their use in France where Poisson Chats and Crayfish can be a problem. Apart from Fenspice white pop ups I only supply hookbaits that match my boilies. All of my baits are HNV baits I do not use or supply fluro type baits at all. My hard hookbaits are a combination of the base mix that the boilies are made of with the addition of egg albumin to harden them plus elevated levels of certain attractors. For example in DP1 there would be higher levels of Brococell and liver powder. In Fenspice higher levels of GLM, liver powder and pre digested fishmeal. Once dried the hookbaits are then treated with a liquid to futher increase attraction. Most fluro type hookbaits are a pop up mix that relies on a flavour to do the attracting. My baits attract through the make up of the base mix which gives off underwater food signals. Search chemoreception. My baits are designed to catch carp forever, not for the next 3 months!! Another important fact about hookbaits. I have noticed anglers having big problems with Poisson Chats and Crayfish. The problems are so bad that by the monday of a 7 day trip they have given up and are planning on going home. The key here is to plan your trip. The best thing to do is take advice from your bait maker and the problem is easily solved. Looking at a guy the other week he had various baits with him, probably 4 different types of boilie plus loads of different pop ups. This approach just creates confusion, I advise one boilie and hard hookbaits and pop ups to match. The angler concerned had no hard hookbaits and no big hookbaits. To combat chats and crayfish you need 20mm hard hookbaits that are wrapped in shrink wrap, these can then be fished snowman style or a double or treble 20mm hookbait on a long hair. This easily combats the problem. Instead of watching the latest ‘sales type’ DVD from well known tackle firms talk to your bait maker or the lake owner. Go prepared and you wont have your week spoiled. Also remember a French trip is a 7 day session. Give up on monday because you are blanking will result in failiure. If the carp find a chink in your armour they will exploit it fully. If you are a long term user of my baits then you may remember Multimeat from around 10 years ago. I will be adding it to my range again next year. More details to follow later in the year. Good luck for the rest of the year. Autumn is approaching again, one of the best times of the year. It seems to come around even quicker as the years pass!! A few updates for you. 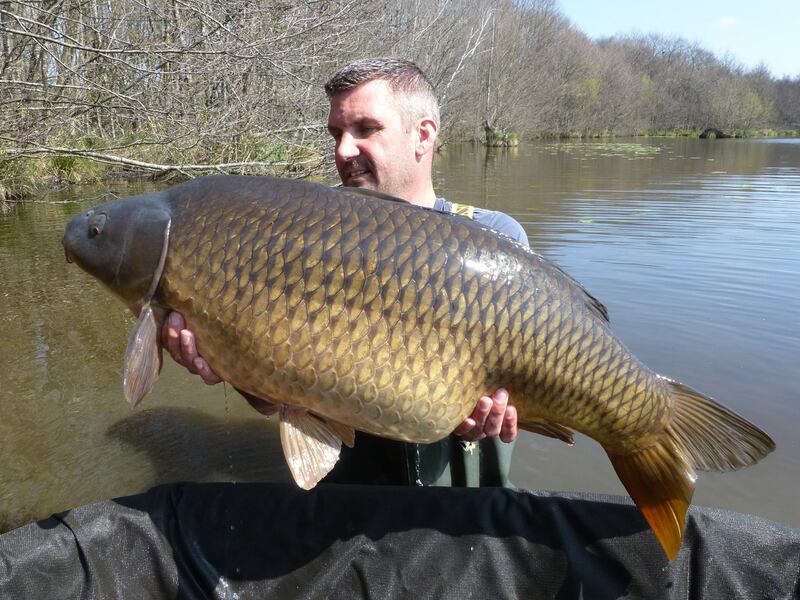 This year I am supplying bait to the fantastic Lac Serreire and Badgers Holt fishery at Coussac Bonneval near Limoges in France. 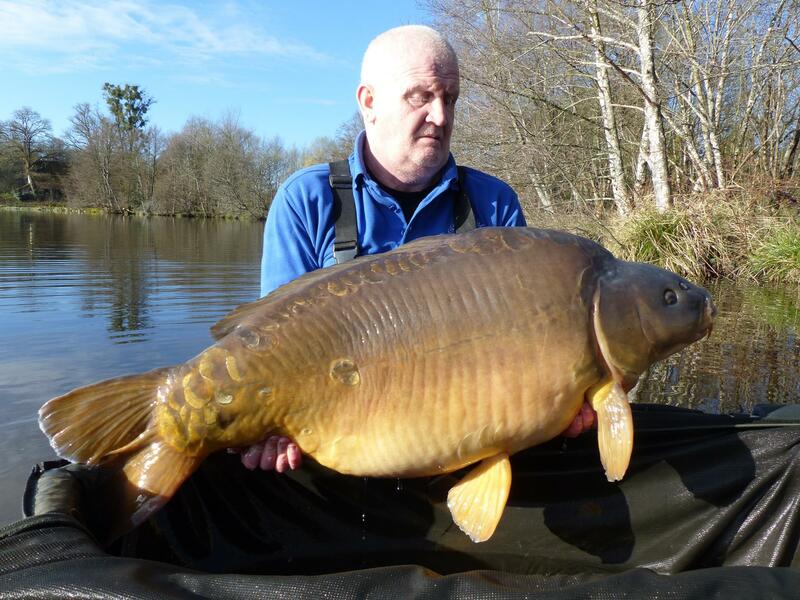 Lac Serreire is home to many very big carp inclusing the Belgian and the Grey Lady recently caught by top Norfolk angler Keith Williams at 81lb plus. 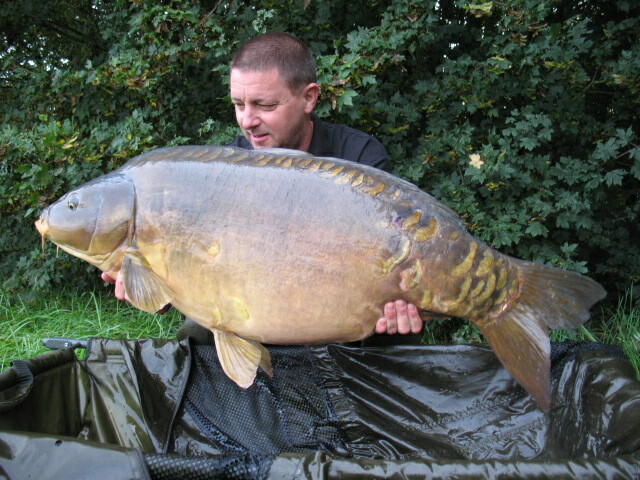 Badgers Holt is an incredible fishery, 2.7 acres and full of very big hard to catch carp topped by Jo Jo at around 80lb. The bait that I will be supplying is a customised version of my Fenspice to be known as Lac Serreire Fenspice. It is only available at the fishery so dont ask for it!! Also supplied are white pop ups in 12 and 15mm, cork granule pop ups, hard hookbaits, salt cured hookbaits in 15mm and glugs. I am also supplying Birch Pool Retreat and Forest Pool Retreat which are just south of Limoges. 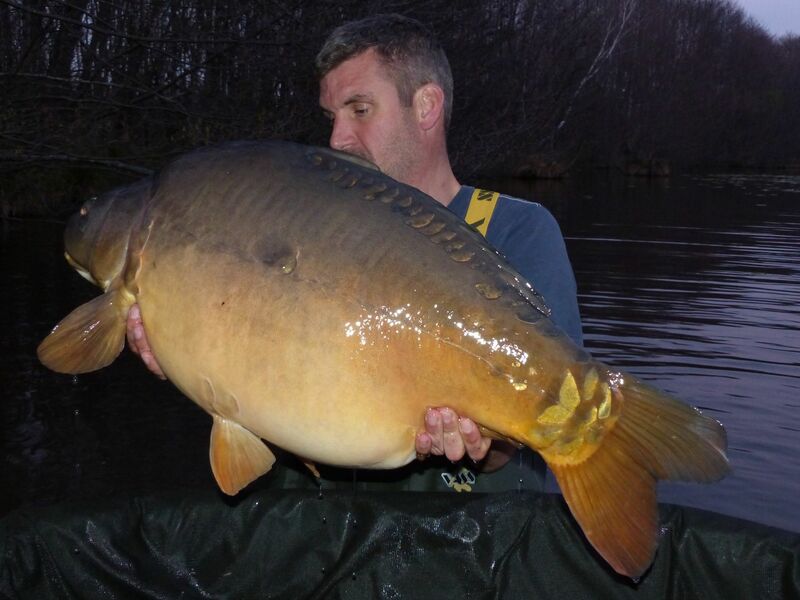 Both are small secluded lakes with big carp that are controlled by owner Nikki Morgan. Forest Pool is a runs water with Birch Pool a lot more tricky. Both have carp to 60lbs. The bait I am supplying is Ultra Nut Mix with white pop ups, cork granule pop ups, hard hookbaits and matching glug. We are just into the second week at all three fisheries. Lac Serreire has seen a lot of carp (33 last week) caught over Fenspice with Fenspice salt cured hookbaits which are working really well. 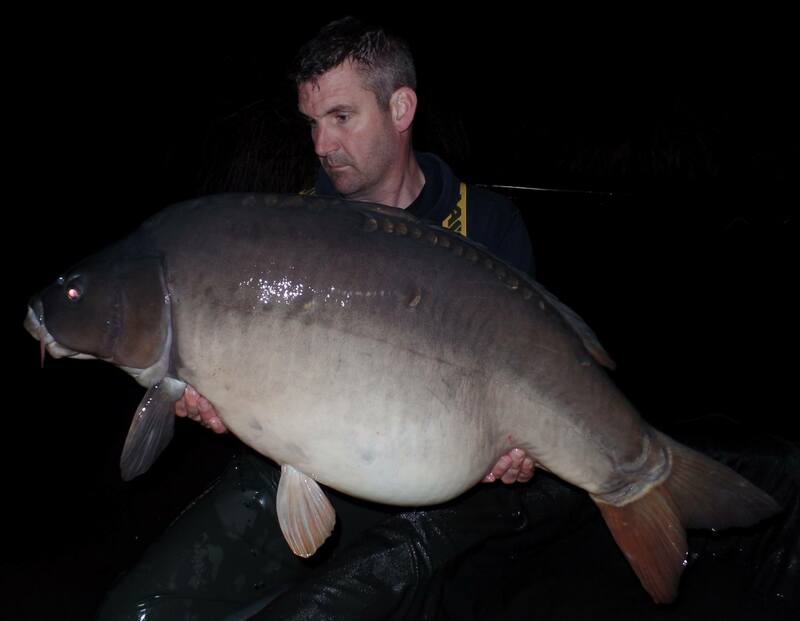 The biggest one so far being 77lb. Owner Simon Mansbridge fished cover the winter using Fenspice and banked 60 carp from both Lac Serriere and Badgers Holt. It was a very cold winter in the region but as normal Fenspice produced the goods. Who said fishmeal baits dont work in the winter? They do if the recipe is constructed correctly. Birch Pool has so far produced carp to 47lb. I will shortly be adding Fenspice Pellets, 12mm white Fenspice pop ups and salt cured Fenspice hookbaits to the range. These products have been thoroughly tested over the past two years. The salt cured hookbaits proved very tricky to get right, I know some of you have tried salt curing yourselves and have found it difficult. The correct salt is needed plus timing is critical. I have it bang on now. The pellets, well the carp just cant get enough of them. These are the only ways to order bait from me. 2, Over the phone where I can take a card payment. 3 Bank transfer. I can give you my details if you request them. 4, You can ask for me to send you a Paypal payment request. All bait is rolled fresh to your requirements. It is rolled here by me on my premises not by a sub contractor which is very common in the bait industry today. I buy all of the ingredients myself, a small team of top class anglers help me to test bait and bait products so I have 100% quality control. I am an old school bait maker and believe in making baits that are good for the carp. Please dont leave ordering to the last minute. I dont hold any stock, all is rolled fresh and because my baits catch a lot of carp I am very, very busy. This should give you confidence in buying from me. Orders are delivered by DPD Local. You will get a text around 4-5pm when your order is collected by the driver then a text the next morning around 7.30am giving you a 1 hour delivery slot. DPD LOcal are very reliable thats why I use them. More updates as the season progresses.